^ 1.0 1.1 Airbus Orders and Deliveries (xls). Airbus. 2017-09-30 [2017-10-07]. ^ A320 family. Flight International. 1997 [17 February 2011]. 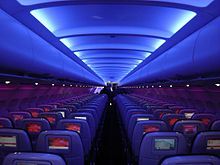 ^ A320 aircraft: A320 range, specifications (dimensions, seating capacity, performance), cabin. Airbus. September 2016 [3 November 2016]. ^ – Government of Armenia A319CJ. 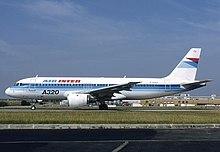 Airliners.net. 11 April 2010 [9 July 2012]. ^ Airbus A318 Dimensions & key data. Airbus. [2015-07-30]. ^ Airbus A319 Dimensions & key data. Airbus. [2015-07-30]. ^ Airbus A320 Dimensions & key data. Airbus. [2015-07-30]. ^ Airbus A321 Dimensions & key data. Airbus. [2015-07-30]. ^ Airbus A320 occurrences. Aviation Safety, 2 April 2012. ^ Airbus A320 hull-loss occurrences. Aviation Safety, 2 April 2012. ^ Airbus A320 statistics. Aviation Safety, 2 April 2012. ^ JACDEC's Airliner Safety Statistics: Aircraft. JACDEC. 17 May 2007. ^ NTSB Accident Database search on A320. NTSB. Retrieved 14 April 2012. ^ 亞航8501班機失聯　航空公司：已展開救援. 今日傳媒. 2014-12-28 [2014-12-28].